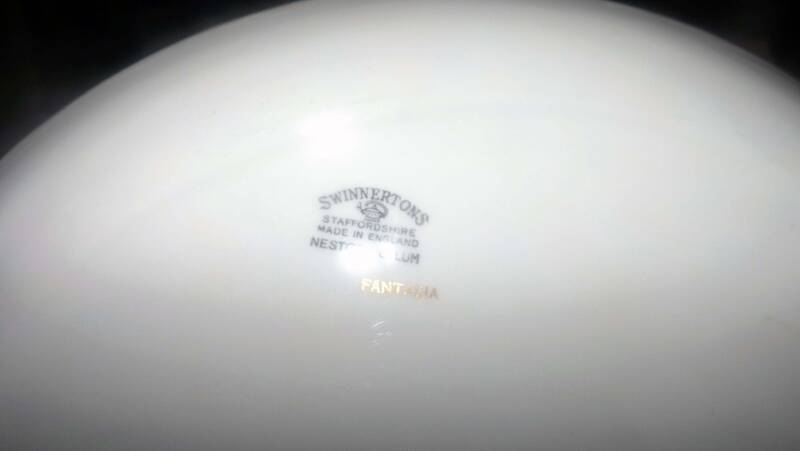 Early mid-century (1946) Swinnertons England Fantasia | SW120 oval vegetable platter. Teal, gray, tan florals and leaves. Nestor Vellum. 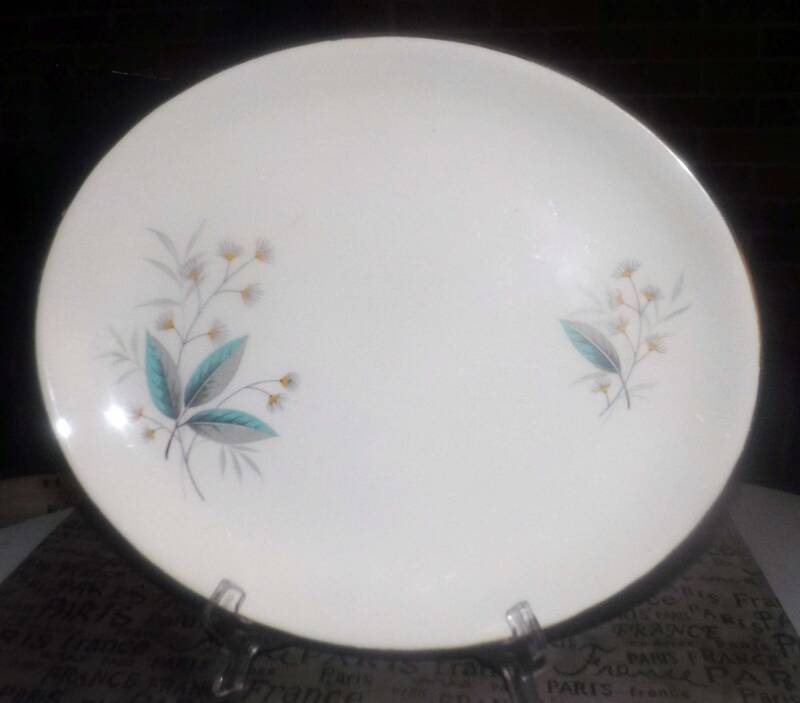 Early mid-century (1946) Swinnertons England Fantasia (also known as SW120) pattern hand-decorated oval vegetable or meat platter featuring teal, grey and tan leaves and teal florals with yellow centers and a smooth, gold edge. 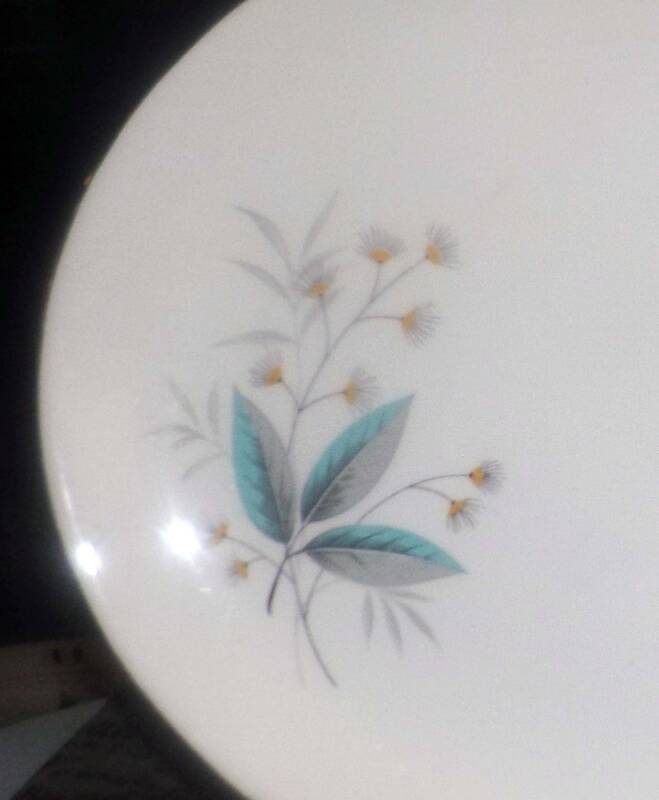 Part of Swinnertons' Nestor Vellum line and now a very hard-to-find pattern, this platter is in overall EXCELLENT! condition with NO! chips, nicks, cracks or fleabites, LITTLE TO NO! crazing and LITTLE TO NO! loss to the smooth, gold edge. 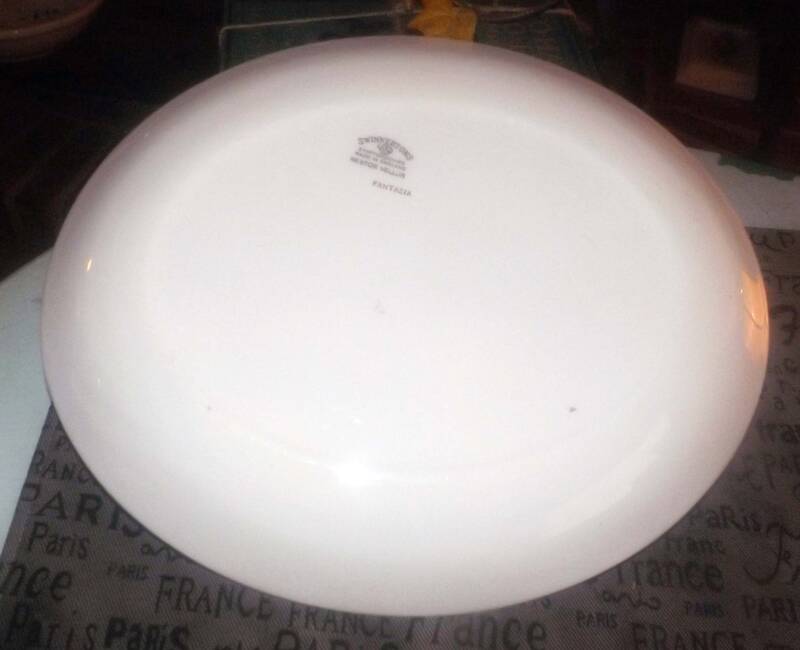 There is a small utensil mark to the cream surface of the platter (please review each of the posted photos for a complete visual of the item), but otherwise, there are NO! other marks or stains. 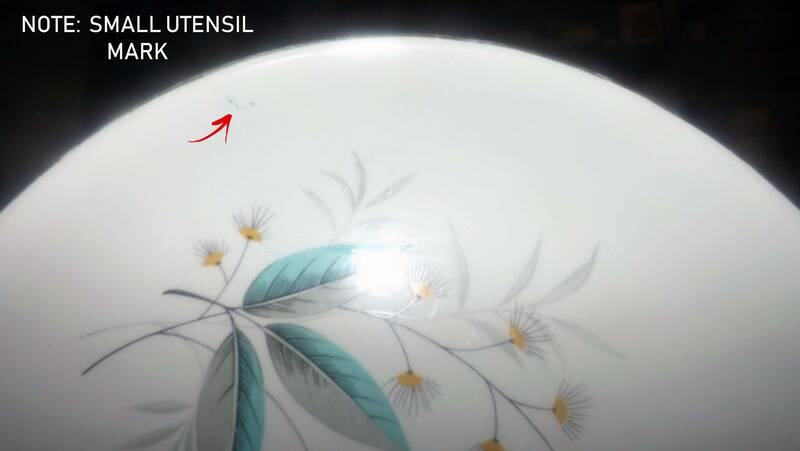 Gold decorator's brush mark to reverse. 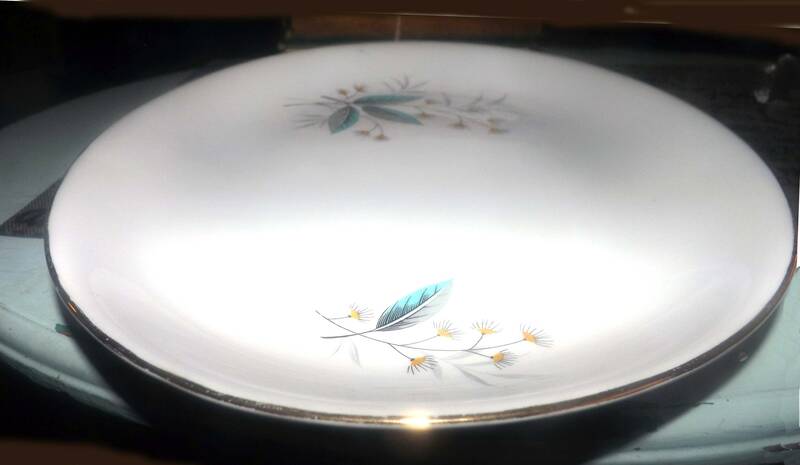 Approximate measurements: 13-1/2" x 11-1/8" in diameter (measured edge to edge) with a smooth, gold edge.